Based on the M16 Assault Rifle used by the United States Army in 1963 for jungle warfare in South Vietnam, the XM16E1 was standardized as the M16A1 in 1967. 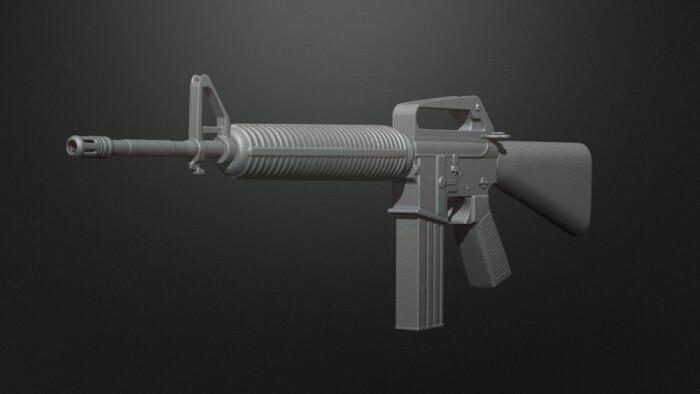 The M16A1 remained the primary infantry rifle of U.S. forces in South Vietnam until the end of the war in 1973. 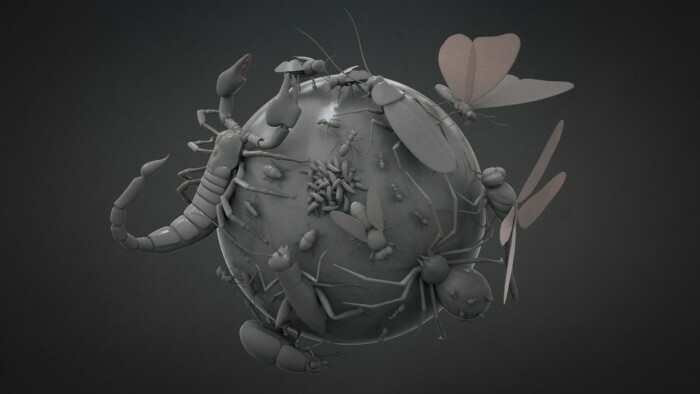 Created in Zbrush 4R3, it includes 4 Subdivision levels and individual poly groups for all parts of the model. This Model is not painted and does not contain UV maps. PLEASE NOTE: Files created in a newer version of ZBrush may not be opened by any earlier version of the Software. Click Here for more information. This 3d model is an artistic representation of the subject matter. BadKing does not endorse and is not endorsed by the manufacturer of the subject matter. 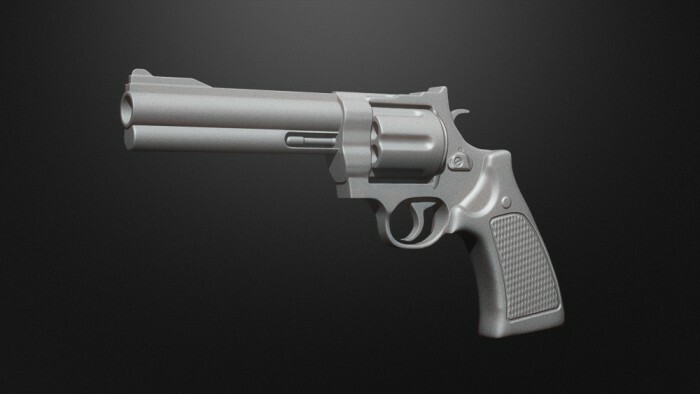 Based on the Smith & Wesson Model 629 Classic .44 Magnum revolver that was introduced in 1978. The 629 model designation derives from Smith and Wesson's practice of denoting a stainless steel version of one of their already existing designs by placing a 6 in front of the model number of the original weapon. The 629 Classic variant features a full length barrel underlug. Created in Zbrush 4R3. It includes 4 Subdivision levels and individual poly groups for all parts of the model. This Model is not painted and does not contain UV maps. PLEASE NOTE: Files created in a newer version of ZBrush may not be opened by any earlier version of the Software. Click Here for more information. This 3d model is an artistic representation of the subject matter. BadKing does not endorse and is not endorsed by the manufacturer of the subject matter. Created in Zbrush 4R4 (also available in .OBJ format). The model set includes individual poly groups for all parts of the different models and has been specifically designed with Subdivision levels in mind. These Models are not painted and do not contain UV maps. PLEASE NOTE: Files created in a newer version of ZBrush may not be opened by any earlier version of the Software. Click Here for more information. This 3d model is an artistic representation of the subject matter. BadKing does not endorse and is not endorsed by the manufacturer of the subject matter. Copyright © 2019, BadKing.com.au Page generated in 2.82 seconds ( 100.00% PHP, 0.00% MySQL ).